Mx, 11 Feb 2009What specific .mp4 format did you use? Because I've tried putting .mp4 files in my phone, and ... moreH264 MPEG4 MP4 with 176 x 144 video size. Mp4 video in this format is also supported by OT S853. Nelson, 09 Feb 2009Also, OT S680 supports .mp4. I am just making it clear because there are claims that OT S680 d... moreWhat specific .mp4 format did you use? Because I've tried putting .mp4 files in my phone, and it wasn't able to play the file. Kindly send me a sample of an mp4 file that the OT-s680 plays, I'll have that analyzed. Send it to my email: mikozieg@gmail.com. Thanks in advance. I'm gonna try putting 4gig microSD on my OT-s680. Yes, there are different formats for video files, even if they use just one filename extension. For example, a 3GP file actually has many formats, one with mpeg4 video and AMR sound format, another one has h.263 video format and AAC sound format. Unfortunately, not all of these are supported by the phone. The OT-s680 does not support 3G2 (an extension of 3GP). I've tried it already. The S680 supports up to 2gb cards! 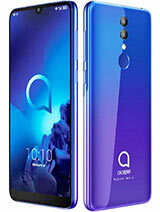 Also for more info about Alcatel mobile phones please email me on un112@msn.com. Nelson, 09 Feb 2009Sorry, I am thinking that you are referring to OT S853. The official maximum capacity for ... moreThis phone is amazing! D sound quality is very good. Sony and nokia is far from this phone.. The sound is like ur in a true surround sound even in loud speakers. Also, OT S680 supports .mp4. I am just making it clear because there are claims that OT S680 does not support .mp4. If you have problem converting your videos into mp4 for your OT S680 just get in touch with me at nelson_maus@yahoo.com. mx, 09 Feb 2009Are you referring to the OT-s853? I'm referring to the OT-S680. That's the phone I have right ... moreSorry, I am thinking that you are referring to OT S853. The official maximum capacity for OT S680 is 2 gb and the manufacturer include 1 gb micro sd free in the package. I have this phone since December 9, 2008 and it's working very fine and I am currently using pqi 2 gb micro sd. I am planning to try to use 4 gb because I believe it can support up to 4 gb because OT S853 official maximum capacity is only 512 mb and the manufacturer includes free 256 mb mini sd in the package but I am currently using 1 gb Kingston mini sd in my S853. 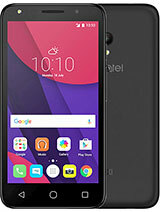 If any OT S680 user have tried using 4 gb and the phone still working fine kindly inform me through nelson_maus@yahoo.com or just post it here in OT S853 section. Nelson, 08 Feb 2009I don't understand why you got 1 free 1 gb micro sd when you buy it. This phone does not suppo... moreAre you referring to the OT-s853? I'm referring to the OT-S680. 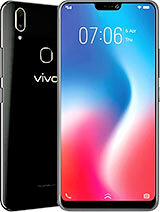 That's the phone I have right now. And yes, it's using microSD. I want to save videos in it, so I'm asking the maximum microSD memory the OT-S680 can support. Mx, 07 Feb 2009Too bad. But I bought it anyway. It came in with a free 1gig microSD. How much memory can the ... moreI don't understand why you got 1 free 1 gb micro sd when you buy it. This phone does not suppot micro sd. 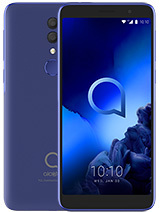 It only supports mini sd and the official maximum capacity is 512 mb (that is from manufacturers official statement) but in actual this phone supports up to 1 gb mini sd. I am using 1 gb Kingston mini sd in my unit. Too bad. But I bought it anyway. It came in with a free 1gig microSD. How much memory can the OT-s680 support? I seem to have misplaced my software CD that came with the phone and now I need to transfer contacts from the phone to PC. Is there any place where I can download the software along with the patches that had come out earlier? This phone is not running in symbian OS. Jeffrey, 30 Jan 2009why doez my alcatel ot-s853 alwayz memory full eventhough i hav3e no more messages and many mo... moreThere must be something wrong with your unit. Try to reset it. Nelson, 28 Jan 2009OT S853 battery is Li-Ion 800 mAh and people should not compare it to other phones' battery wh... moreThanks Nelson. Another question, does the phone run on Symbian OS? 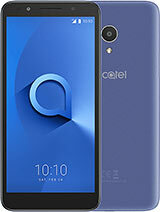 why doez my alcatel ot-s853 alwayz memory full eventhough i hav3e no more messages and many more spaces? Mx, 28 Jan 2009Some say that the battery life of the Alcatel OT-S680 is too short. Is that true? I'm planning... moreOT S853 battery is Li-Ion 800 mAh and people should not compare it to other phones' battery which is higher than 800 mAh. And the truth is, this music machine really consumes more power than other models like OT S680. I have tried to my OT S853 and OT S680 fully charged then after both are fully charged I played mp3s. After about two hours, the battery level of my S853 have decreased 1 but the battery level of my OT S680 does not changed. 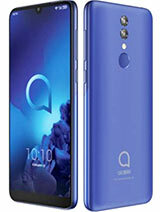 My OT S853 can play music up to 4 hours without using the phone while it is playing. I have not reloaded it with the latest firmware if there is. It is still 18 b. Just to add up to my previous post, they say they only use the phone moderately, but it's battery life is still too short. john, 25 Jan 2009the network operator tell me that they cant fix it... I really enjoyed the music but now i sh... moreYou cannot change the firmware by yourself. 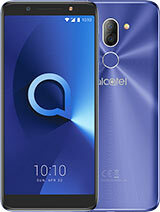 Take your phone to any alcatel authorized service center and tell them reload your phone with the latest firmware.